Why Won’t My Landlord Discuss My New Lease With Me? My roommate (master tenant) is moving out of our apartment on July 31st. She’s had rent control since 2007 and we are paying far under market value. I’m interested in trying to stay in the apartment and have expressed as much to our landlord. I wrote a column a few weeks ago that dealt with a similar issue, “Tenant Troubles: How Do I Get My Former Landlord’s Dead Hand Off Me?” In that case, the landlord was attempting to assign liability to a tenant who had moved out of her apartment. I ran through the reasons why the landlord’s attempt to control the former tenant was silly and logically impossible. Like everyone, landlords can be silly and illogical. The last time I checked, but of course that could have changed by the time you read this, one doesn’t have to find a law that allows one to speak to another person. I’m assuming that you don’t have some sort of restraining order against the landlord that prevents him from having a conversation with you. If you do, it’s probably time to move anyway. No, there is no legal reason that the landlord couldn’t negotiate a new lease with you that could be signed upon your roommate’s departure. But there is a psychological barrier that prevents your landlord from discussing a new lease with you–passive aggressive behavior. Here’s the problem: Your landlord doesn’t really want to rent the apartment to you. The more you deal with him, the more human you become. That makes him uncomfortable. He knows, at least subconsciously, that he did nothing to deserve or merit the rent increase he’s requesting and he knows you know that as well. He’d rather rent the apartment to a new set of tenants who don’t know or care that just last month the rent was $2,000.00 and, magically, unjustifiably, the rent is now $3,000.00. 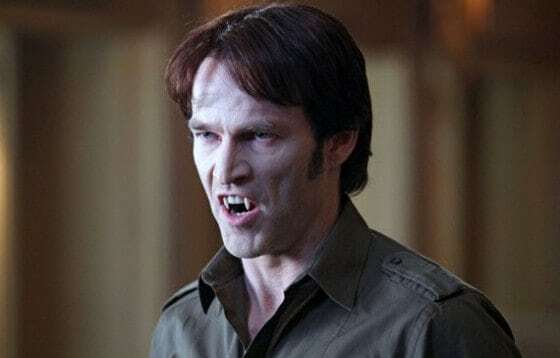 Like Bill in the kooky HBO series, “True Blood,” your landlord is a vampire with a conscience. He cannot justify sucking the blood of his friends and acquaintances, but he can rationalize the murder of those he does not know. He’s gotta eat fer Christsakes! If you protest, or decide to assert any rights you have, beware, that’s when the fangs come out. Count Dracula, sounds like you might have a guilty conscience and might be trying to rationalize your own parasitic rent gauging behaviors. Just a guess on my part. Au contraire. What he knows is that he worked hard, long hours to save some money and invest that money somewhere where he could get a good return. He knows he’s tried to applied his smarts as to where to invest that hard-earned money. He also knows that people like you try extremely hard to prevent him from making a fair return on his investment, deny him the fruit of his foresight in investing in San Francisco. To appropriate his stuff. To steal from him, in other words. Everything I’ve seen on this site is so profoundly disturbing. I cannot wait until all residential units in SF are back up to market rent, and parasites like you and those you defend are finally forced elsewhere, perhaps to Berkeley, Oakland or hopefully Canada.